In our second installment of our EventLAB Series, we're taking a detailed look at the venue we've chosen for our very first EventLAB event. 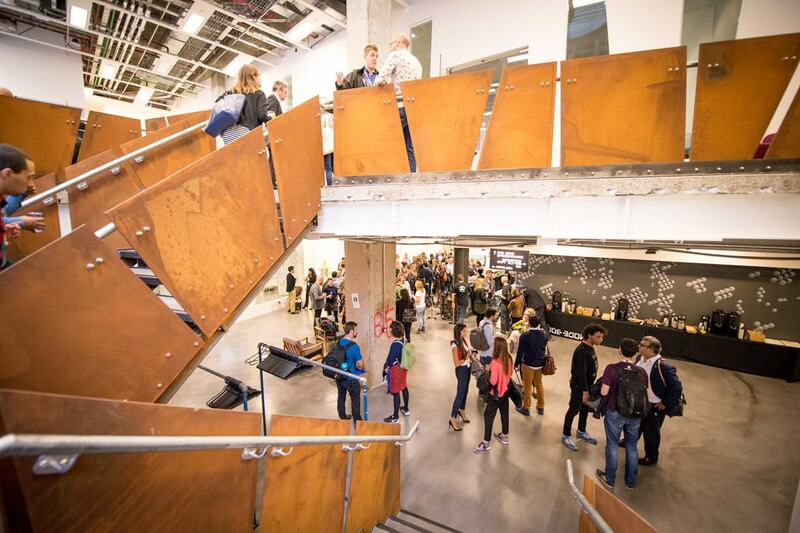 CodeNode is the UK's largest venue dedicated to technology events. The venue has been designed to create an ideal space for networking, training, meetings and large conferences, with its relaxed vibe and urban interiors. It's has been organising sector-leading technology events for more than a decade and, at an impressive 23,000 sq ft, the blank canvas venue can be transformed for any number of events, this meant we could really bring the concept of EventLAB to life. It's a tech start-up at heart, something we felt complemented Hire Space's journey perfectly whilst also providing an opportunity to support CodeNode's at the same time. The focus on skills and learning at the venue was something that is fundamental to EventLAB too, making CodeNode the perfect fit. 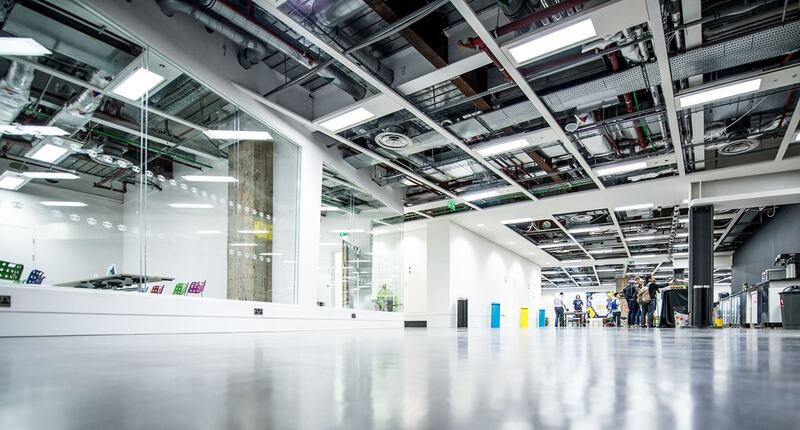 EventLAB will take place across both floors of the venue, with exhibitors taking up designated spaces that can be totally transformed to reflect their brand. We wanted to create an intimate environment that would give both exhibitors and delegates the chance to meet as many people as possible and really get the most out of the day. There's space for just 30 exhibitors so there will be plenty of room and time to develop relationships and make connections. 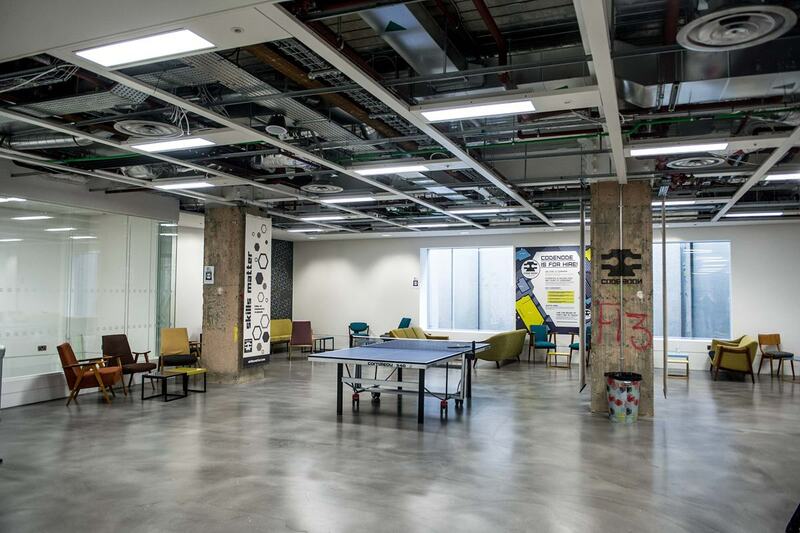 There's a real relaxed feel to the communal spaces at CodeNode, from the polished concrete floors to the exposed pipes in the roof. SpaceBar provides a great place for breakout drinks or coffee breaks with loads of room for networking or simply taking a moment to absorb everything you've just learnt. We've designed interactive networking activities that will run throughout the two days, so you can learn a new skill, have some fun and get chatting to important delegates, suppliers, venues or industry thought-leaders. There will also be space to have meetings or just sit back with a coffee if you're in need of a more relaxed environment. 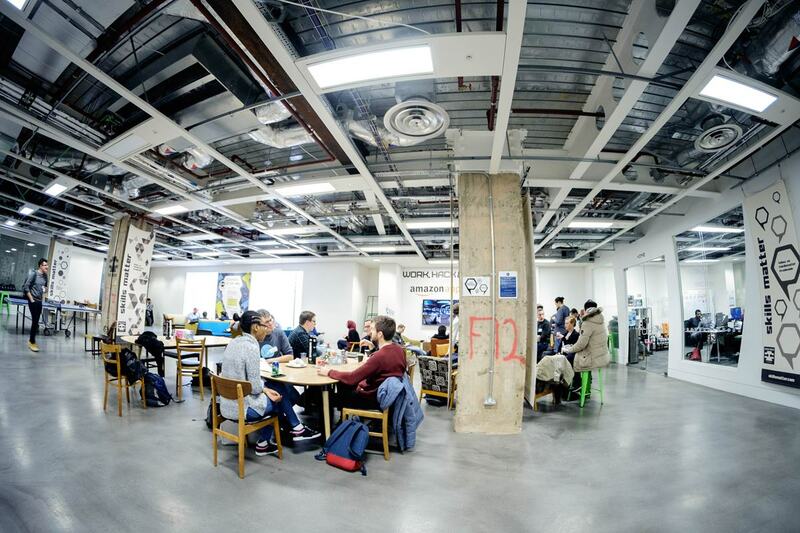 CodeNode has six smaller rooms across the space that will be used for breakout space, interactive sessions, masterclasses and workshops during EventLAB. 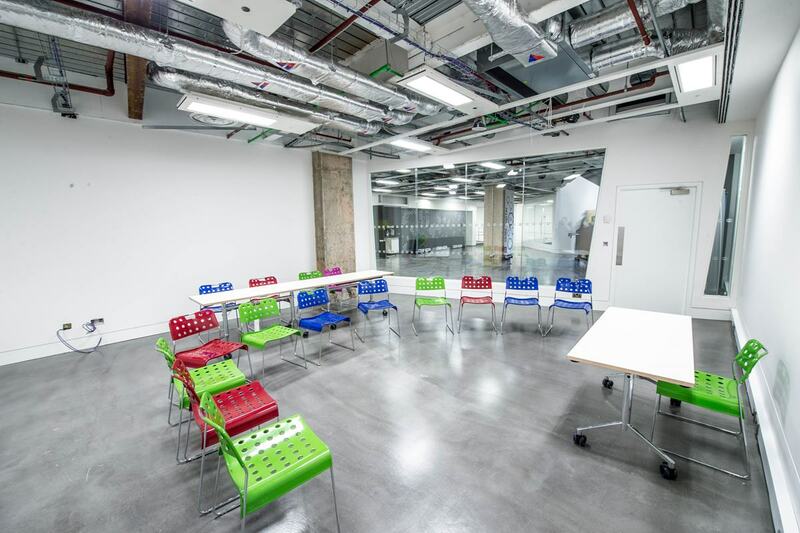 Reflecting the rest of the venue, these spaces are parred-back, with exposed ceilings and a bright, airy feel and make a perfect, uncomplicated backdrop for our masterclasses and workshops. These have been designed using years of events industry expertise and practical knowledge and packaging that into engaging learning experiences. They'll all be CPD accredited and will help you grow your industry know-how, continuously improve and maximise the potential of your event. CodeNode is just a 3-minute walk from both Moorgate and Liverpool Street. Get exclusive content and more information about the event in our EventLAB Series.